The diamond annual motor claims industry networking lunch has been announced by I Love Claims. Taking place at the familiar venue of the Connaught Rooms, London, the date has been set for Friday 18 January 2019. 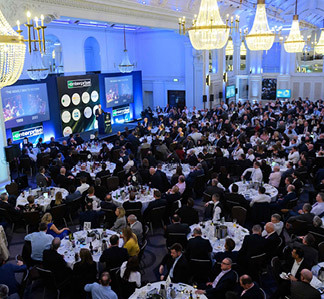 This is your chance to start the year with a networking lunch with up to 480 industry colleagues who represent the most influential cross-section of the motor claims industry. Joining you will be colleagues from the worlds of insurance, broking, accident management, vehicle repair, legal, paint & plant supply and medico-legal. As all previous attendees know, a networking lunch is a great way to cement existing business relationships and to forge profitable new ones. Places will sell fast so to find out more and to reserve your table or place/s, visit the I Love Claims website here. I Love claims is once again delighted to put time aside to raise money for Rainbow Trust. To date the ILC community has raised nearly £600,000 to support the families of terminally ill children. We thank you all!